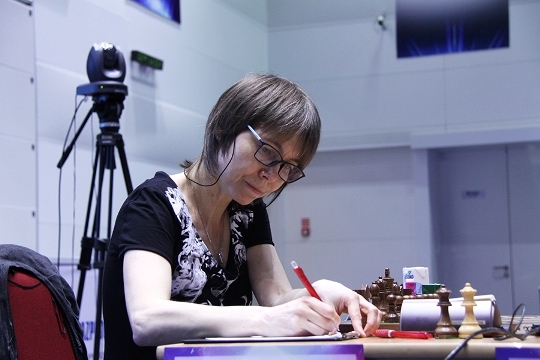 The SCC Galactica (Sochi, Krasnaya Polyana) hosted the second games of the FIDE Women’s World Championship Semifinals. 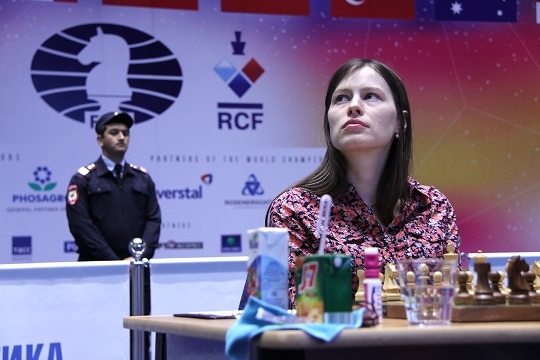 The Russian Natalia Pogonina defeated Pia Cramling (Sweden) as White and equalized the match. 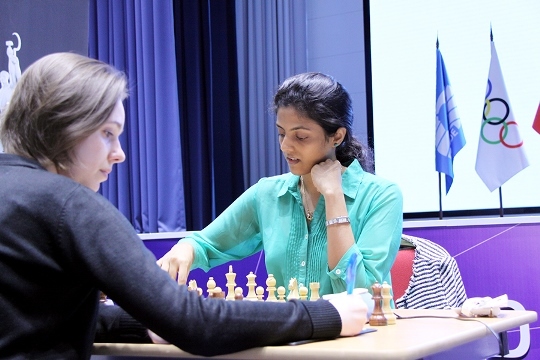 The game between Harika Dronavalli (India) and Mariya Muzychuk (Ukraine) ended in a draw. Both matches are tied, and their outcome will be determined on tie-breaks. In the recent years, Natalia Pogonina plays 1.d4 more frequently, however, today she needed to win on demand, and went for the more aggressive 1.е4. 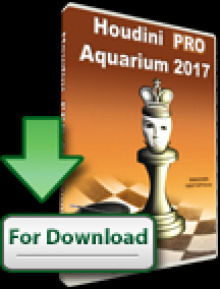 The players arrived at a very sharp line of the Paulsen variation of the Sicilian. On the move 8 White offered a pawn sacrifice, but Black declined the offer, aiming at a rather cramped but solid position. In the middlegame Black wasted a couple of tempi for purposeless queen maneuvers, helping White to rearrange her pieces for a direct attack. In addition, Cramling got into the time trouble, and therefore was not defending perfectly. White won a pawn, penetrated the enemy camp with her queen and finished the game with a nice tactical blow on the move 38. Black resigned due to inevitable material losses. Harika Dronavalli tried to break Mariya Muzychuk’s armor in the Dutch defense. The Indian player arranged her pieces harmoniously and created unpleasant central pressure. However, she failed to use her advantage in the best way. White won a pawn, but the game transposed into a rook ending with four pawns against three, all on the same wing. Dronavalli’s attempts to play for a win were void – Muzychuk defended accurately, and the game ended in a draw. 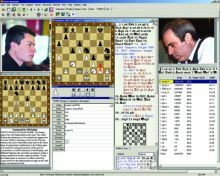 The tie-breaks are played on March 31 and start with the following games: Cramling (Sweden) – Pogonina (Russia), and Dronavalli (India) – M. Muzychuk (Ukraine). All games start at 3 pm Moscow time. 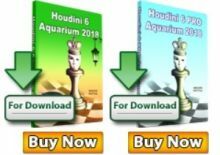 Live stream with grandmaster commentary is available in two languages (Russian and English) on the official site of the championship (http://sochi2015.fide.com) and the Russian Chess Federation website (http://ruchess.ru/).